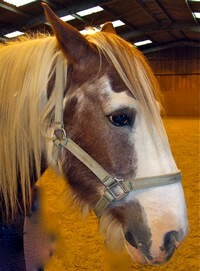 Bob is a 15.1hh skewbald cob gelding. He is a very sociable fellow who loves company and really enjoys playing his part in sessions. One of our three weight bearing horses, Bob has an important part to play in our group.